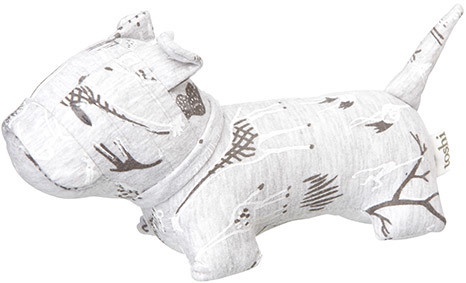 The sumptuously soft Toshi Puppy is made from the finest quality cotton. With gently tinkling bells, Toshi puppy is a cute and cuddly playmate. The designer puppy is 18cm in length and enjoys little adventures, indoors and outdoors. Puppy loves cuddles, day and night!